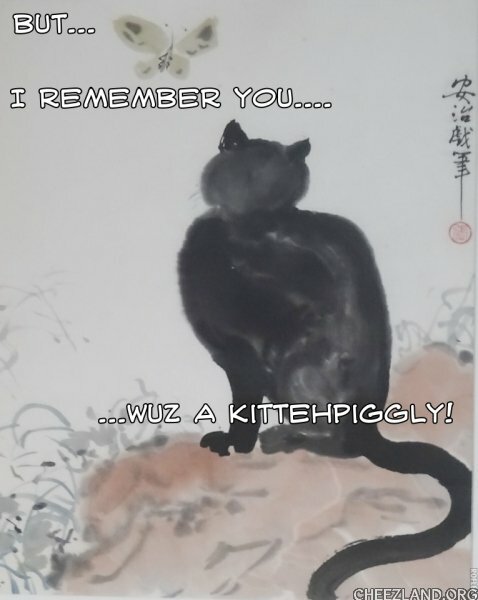 Cat_S sez: Thinking of Lungdoc, I looked at this old Japanese painting we have hanging on the wall! I can’t read who painted it but it dates back to about 1900 so I guess is out of copyright! I am guessing as to what the Kitteh is thinking! ..an lukk at u naow!